Cycling in Switzerland is a real pleasure…. With superb backroads, pretty villages and challenging mountains, including the (in)famous Nufenen Pass – Switzerland’s highest paved road. It is a great place to test yourself whilst enjoying the wonderful scenery this country has to offer. 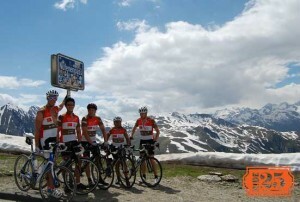 Our Ride25 Swiss cycling holidays include our Paris to Geneva and Geneva to Milan rides. As with all Ride25 tours, everything is included so that all you need to think about is which way to pedal! All our routes are designed to experience the best that Switzerland has to offer – whether that be riding along the best roads, sampling some of the best local food and seeing the best scenery the country has to offer. On our Paris to Geneva cycling holiday, we enter into Switzerland on day 4 of the adventure with a cycle across the magnificent Jura Mountains – including a seven mile long climb of over 1200m. This is followed by a beautiful and fast descent down to Lake Geneva where celebrate our finish by the lakeside. On our Geneva to Milan ride, our adventure begins with a beautiful ride along the south side of Lake Geneva before turning south along the Rhone Valley. We then enjoy 50 miles of traffic-free, fairly flat cycling on good tarmac alongside the river – bliss! 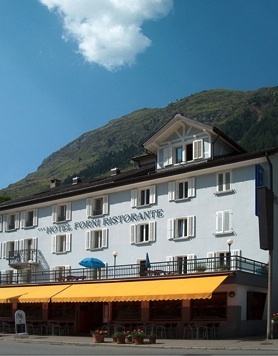 The biggest day of the trip comes on day 2 when we go up the Furka pass which connects with the famous ‘Nufenen Pass’ – Switzerland’s highest paved mountain pass – before our descent into the small mountain village of Airolo. Watch our Swiss Cycling Holiday videos here! Find out more about what is on store on our Paris to Geneva cycling holidays below – or our Geneva to Milan tour here.